6" x 3" x 1/4" Fibergrate Dynaform® Beam; Grey | U.S. Plastic Corp.
A proprietary isophthalic polyester resin formulation offering resistance to a wide range of chemicals. All shapes except the solid square and rod also also provide a low flame spread rating of 25 or less (when tested according to ASTM E-84). Fibergrate Dynaform® pultruded fiberglass structural shapes are used in a wide range of applications, providing a unique combination of corrosion resistance, high strength, dimensional stability and light weight, along with thermal and electric non-conductivity. Provides years of low maintenance service in areas where steel, aluminum or wood components were traditionally specified. Max. working temp. 150°F. Often used in highly corrosive applications where stainless steel and other expensive components were once required. UV resistant. Solid rod does not provide low flame/spread ratings. Gray, unless otherwise stated. Corrosion resistance - providing long life in aggressive acidic or caustic environments. Lightweight and high strength - allowing for more dependable support-to-weight ratio than steel. Dimensional stability - maintaining the cross-section of structural shapes based on a low coefficient of thermal expansion. Non-conductivity - adding to personnel safety. Electromagnetic transparency - providing no impediment to the transmission of radio and microwave frequencies. 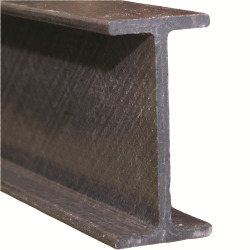 Tolerances: Angles: thickness +/- 10%, width and depth +/- 5%. .Channels: thickness +/- 10%, width and depth +/- 5%. 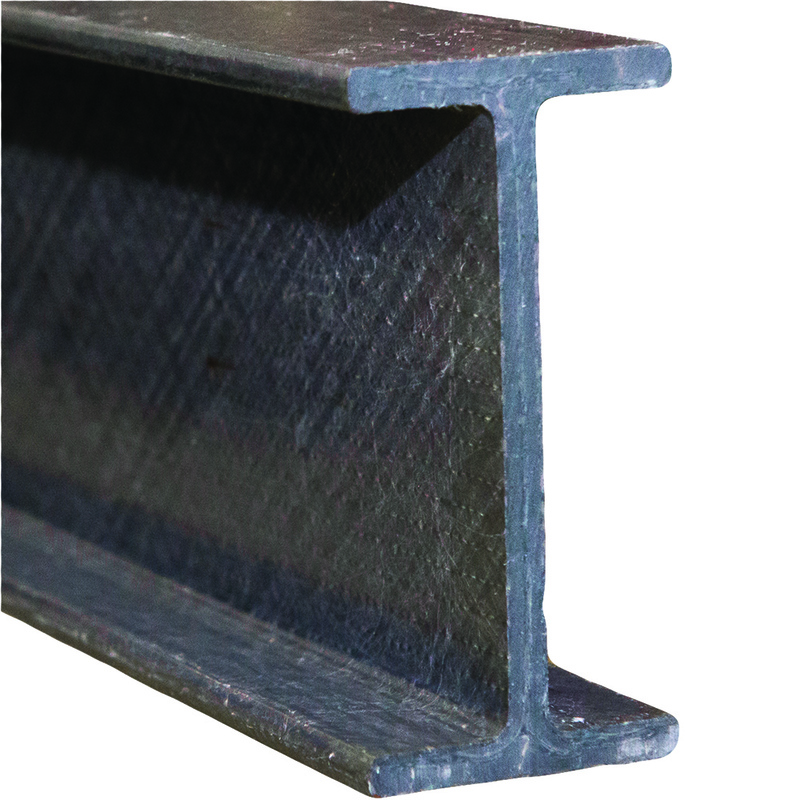 I-Beams: thickness +/- 10%, width and depth +/- 5%. Round and square tube: thickness +/- 15%, O.D. under 2" +/- .020", 2" and up +/-.040". Round and square bar: O.D. +/- .010". #48458 is not mfg. by Fibergrate. Standard length is 20'. Priced per foot; sold in 10' intervals only.